Obbie Riley is the son of the late Burline and Luther Riley of the Long Dale community. He is a graduate of Neshoba Central High School, The Alabama Aviation Technical School and a under graduate of Emery Riddle Aeronautical University where he majored in Aviation Maintenance Management. Mr. Riley is a retired veteran of the U.S. Coast Guard where he served for over 22 years. He is married to Dr. Julia Riley, a Pediatrician with Neshoba County General Hospital, and they share five children. 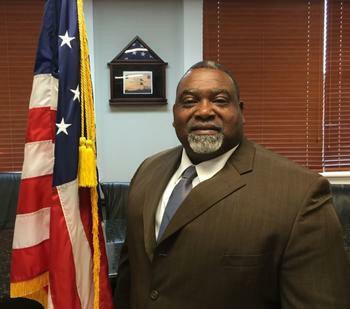 Obbie Riley is serving his third term as Supervisor District Five. Mr. Riley was elected Supervisor of District Five in November 2007. He took office January 7, 2008. Mr. Riley is serving as Board Vice-President for 2019.